Each year we gather to recall our season, celebrate your accomplishments, and thank all our volunteers for a fabulous year! 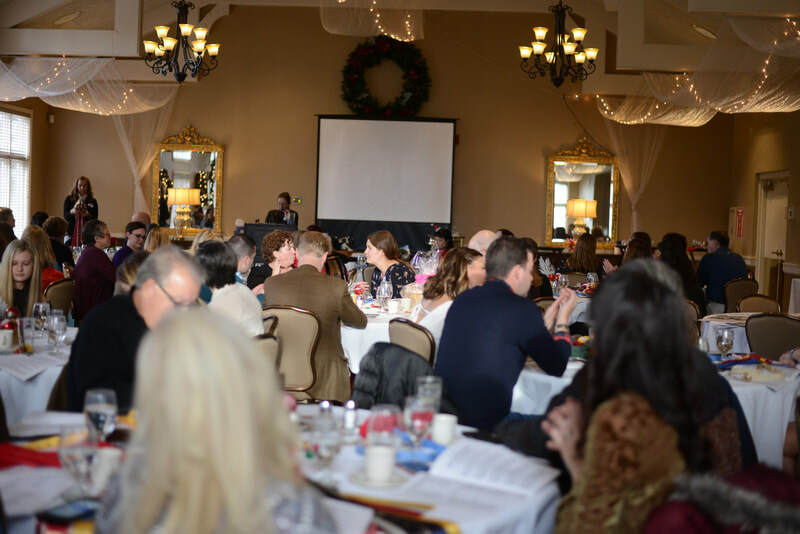 Photos from the banquet can be downloaded for FREE by going HERE (thank you to MODA member and volunteer Sam Ferry for taking the photos and providing them for you!). Our Year End Awards Banquet is punctuated by the giving out of our perpetual awards. These trophies, plaques, and sculpted pieces have been donated by members over the years and often carry a sentimental or honorary story. We are constantly seeking wonderful and meaningful ways to recognize our competitors, the horses they show, and our volunteers. If you are interested in sponsoring an award, please contact us at midohiodressage@gmail.com. Donated by the Houze family in memory of their Hanoverian mare, Good Morning. The winner is selected from all registered mares that qualify in any division of the Annual Horse Awards. This perpetual trophy is donated by Lynn Hamler in memory of her Grand Prix partner, Wolken. The winner is the horse/rider combination with the highest overall average freestyle percentage earned from the USEF/USDF Recognized competition. This perpetual trophy is donated by Polly Hixson to give special recognition to a MODA Adult Amateur Member. 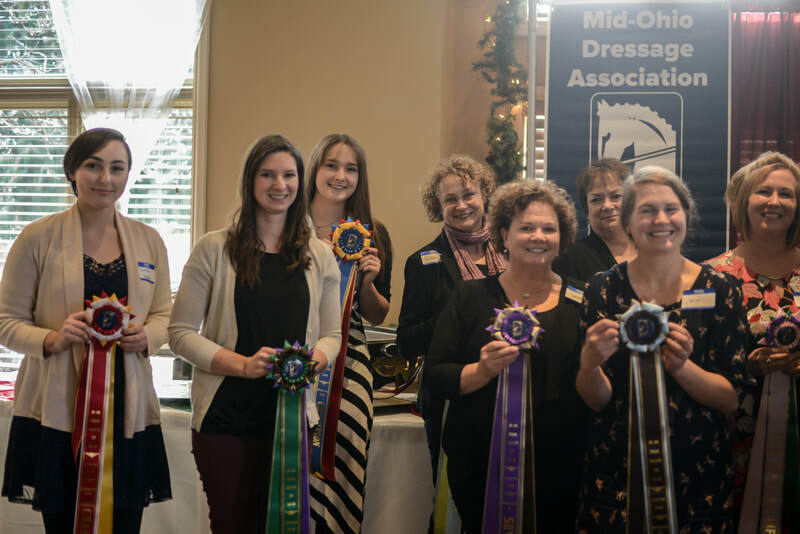 The winner will be the Adult Amateur scoring the highest percentage on any one dressage test at a MODA held Schooling Show. This perpetual trophy gives special recognition to a MODA Adult Amateur rider member qualifies in any level of the Recognized Division of the Annual Horse Awards. It is granted to the rider with the highest overall average percentage. This perpetual trophy gives special recognition to a MODA Youth member, ages twenty-one and under. 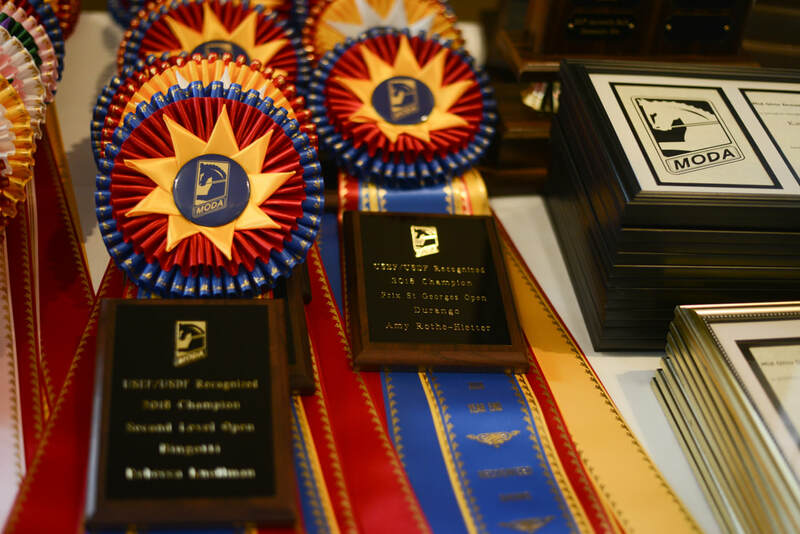 The winner is selected from all youth riders that qualify in any level of the Recognized Division in the Annual Horse Awards. It is granted to the rider with the highest overall average percentage. This perpetual trophy is donated by Jodie McKenzie of MacMeadow Farm, in special recognition of a MODA Youth Member competing at schooling shows only. The winner must be ages twenty-one and under, a member of MODA in good standing, and with the highest average of 4 tests at any one level. This perpetual trophy is donated by Kerrie Matesich of Dogwood Grove Farm in honor of her lifetime partner, Aarod Sheton, who was still successfully competing and teaching riders in the art of dressage at the age of 30. 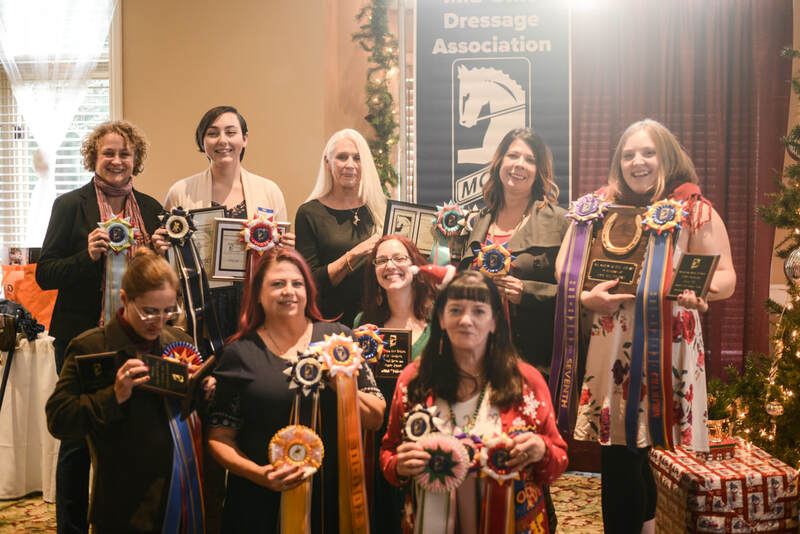 The winner is selected from all horses over the age of 18 that qualify in any division of the Annual Horse Awards, and given to the horse having the highest average percentage. This perpetual trophy is donated by Lavender Meadows Sport Morgans in honor of non-traditional breeds of horses excelling in the sport of dressage. The winner is selected from all non-European warmbloods or horses that are not of Spanish heritage, scoring the highest overall average in the Annual Horse Awards. This perpetual trophy is donated by Amy Rothe-Hietter of South Wind Stables in honor of her first horse, an Appaloosa, Chief Cody Snow. The winner is from Western Dressage riders, having the highest average of 4 scores at any one level. A MODA award created in honor of Ann Milltimore. Awarded to the highest any one score of the highest scoring Pony, from a MODA Approved Schooling Show or a Recognized Competition. Owner and Rider mist be a MODA Member.